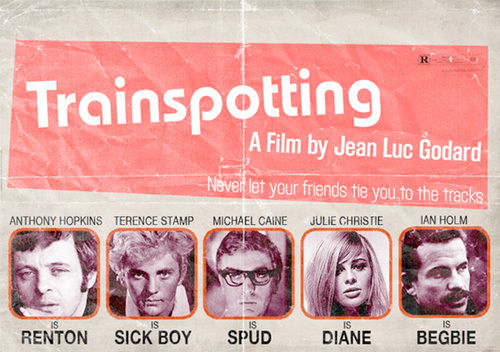 Over the decades, marketing movies has changed quite a bit, but one of the coolest ways to promote a film still comes in the form of movie posters. The style of these posters has changed drastically over the years, but some artists still like to throwback to posters form years past for their inspiration. Graphic artist Peter Stults has done just that, but rather than just reimagining the posters in a classic style, Stults has also cast movies like Inception, Avatar, Drive and The Hangover with Hollywood's biggest names during the Golden Age of cinema. Honestly, some of these movies would be great with casts like this. Posters below! 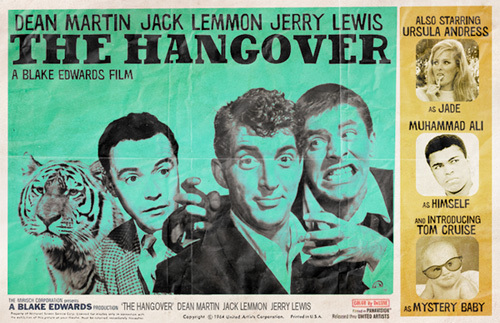 Seriously, I would love to see a classic version of The Hangover starring Dean Martin, Jack Lemmon and Jerry Lewis, and Drive with James Dean in the lead would've been something to behold. However, there are some strange ones here. 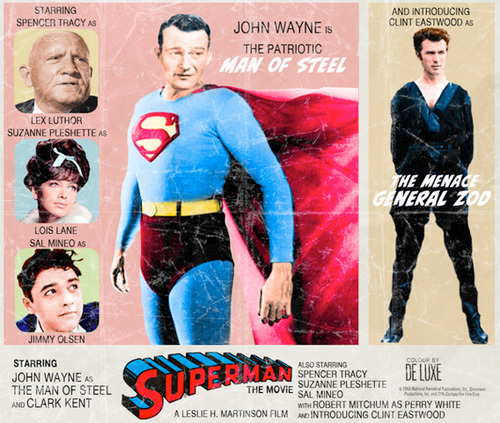 I'm not sure why Leonard Nimoy was the best choice for Die Hard and John Wayne only works as Superman if we're adapting the old live-action serial with George Reeves instead. 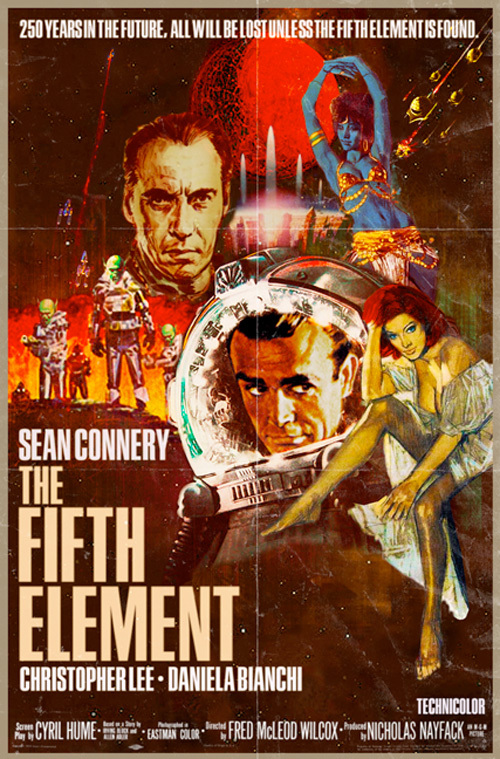 Of course, I could totally see Sean Connery turning The Fifth Element into a sort of James Bond film and Trainspotting in the hands of Jean Luc Goddard. However, I can't help but think that the entire population of the Na'vi would be extremely offended that William Shatner and Natalie Wood would put on blue face. It's just offensive to the entire species living on Pandora. Cool posters? The Connery Fifth Element one is pretty good too. 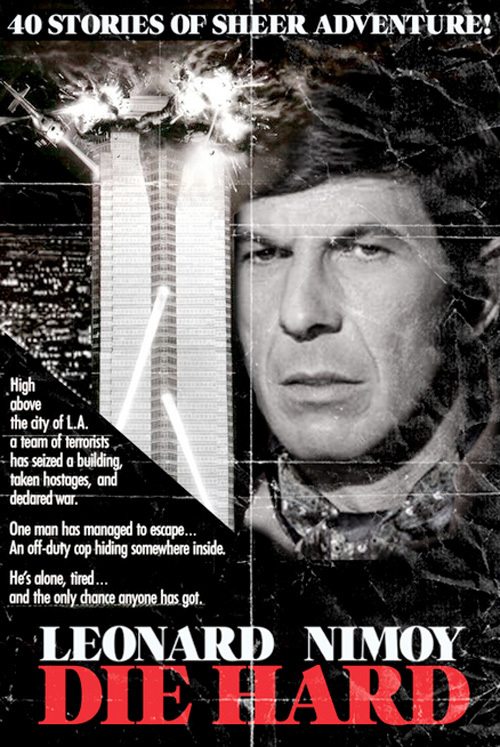 I feel like you can't substitute Bruce Willis in Die Hard. I don't think I'd enjoy the movies as much with any other actor. John Wayne would make an awesome Quarich from Avatar. That is all. Bela Lugosi as Mr. Saito. Wut. These are sick. I love them! I have literally never wanted to see 'Avatar' more. 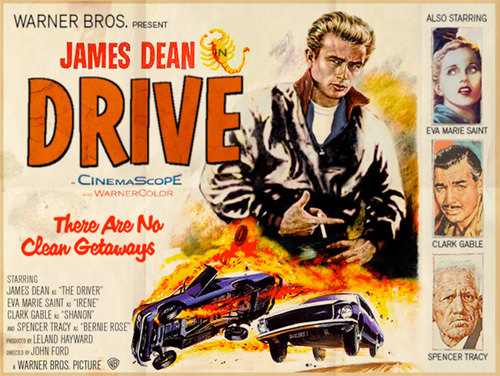 Great posters, but I doubt John Ford would direct Drive. but awsome posters. 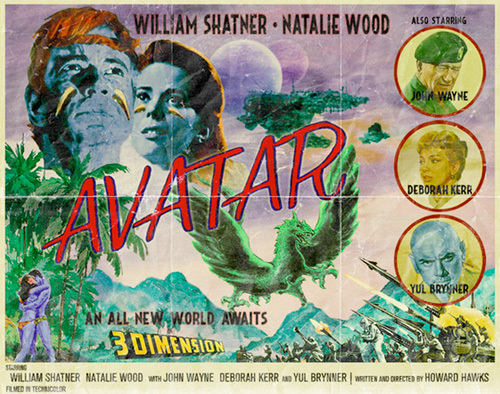 Avatar - written and directed by Howard Hawks. Very cool. 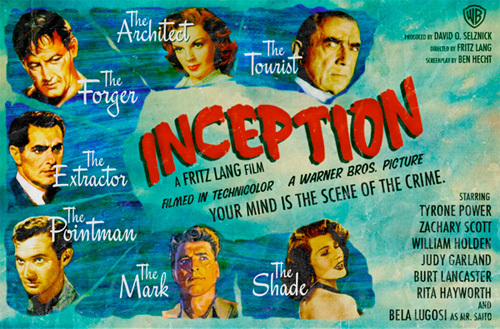 Fritz Lang & Inception would be EPIC!